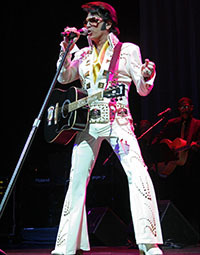 Our impersonators are humorous, memorable and talented enough to have your audience wanting more. Whether you need that special something for a birthday, anniversary or corporate event, these entertainers are sure to please. 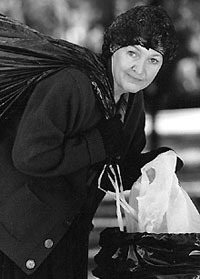 For that special birthday or corporate comedy event, a cameo appearance from none other than the infamous Bag Lady, is always an explosion of surprise and humor. 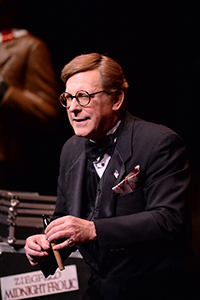 Each performance is tailored to the celebrated personality with anecdotes that are pertinent and funny. Well isn't that special! 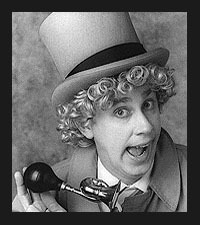 This crazy character, as made famous by Dana Carvey on SNL, is the perfect addition to any corporate event or private party. 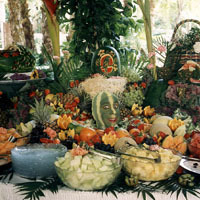 Your guests will be laughing all the way home after his delightful and fast-paced quips. His signature performance has taken years of researching, perfecting, and writing and now it is finally finished and receiving rave reviews from all who attend. His unique ability to capture the essence of each performer is uncanny. The show boasts the comic talents of "W.C. Fields", "Groucho Marks", "Jack Benny", "George Burns", "Ed Sullivan" just to name a few. A standing ovation is what to expect from this talented showcase. 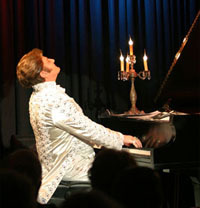 This entertainer’s show is a high-tech, high-energy, musical-variety act of dynamic piano arrangements coupled with a cutting edge video presentation as part of the act. He also does celebrity comedy impressions of such greats as Clint Eastwood, Stevie Wonder, Elton John, and has created a spectacular "Liberace" tribute show, along with other shows as well.. 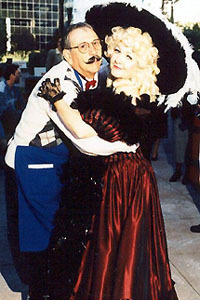 This Mae West impersonator delivers classic Mae West one-liners in full costume. 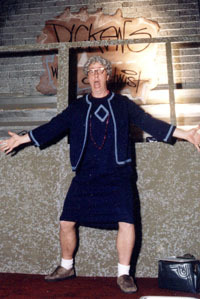 Great as a "walk around" character for parties, conventions and social gatherings. She can also do a vocal impression with a musical accompanist. What a suave addition to any corporate or social event this look-a-like is. 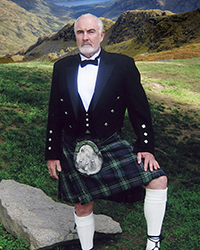 Whether you are seeking a debonair greeter to your elegant evening or a bit of crowd interaction this Sean Connery Impersonator is an exciting addition. 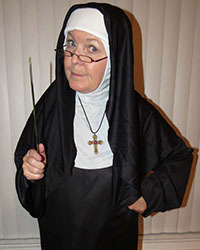 This nun is a hilarious addition to any corporate event, private party, or special occasion. Providing a comedy routine that is clever and tasteful, the only confession your guests will make is that they had an exciting, memorable time! This explosive performer will leave your guests wondering how you were able to hire Tina Turner for your event. She is a powerhouse of vocals and enthusiasm that is perfect for any corporate or social occasion. She is "Simply the Best."